From Ratalaika Games comes a new title and yes it is a quick platinum and yes it’s cross buy with PS4 and Vita. 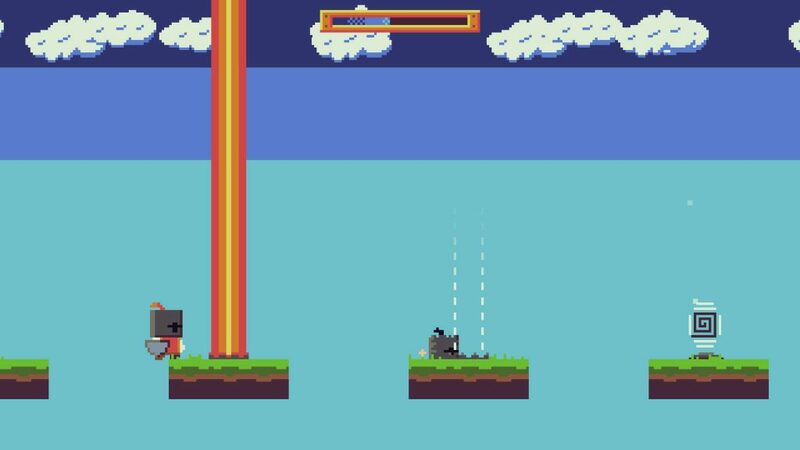 Peasant Knight takes on the platforming genre but takes auto-scrolling literally as your character will constantly run forward unless you intervene. You play as the Peasant Knight, though the story doesn’t really matter. You get a few images with text at the beginning of the game and some once you beat the boss. 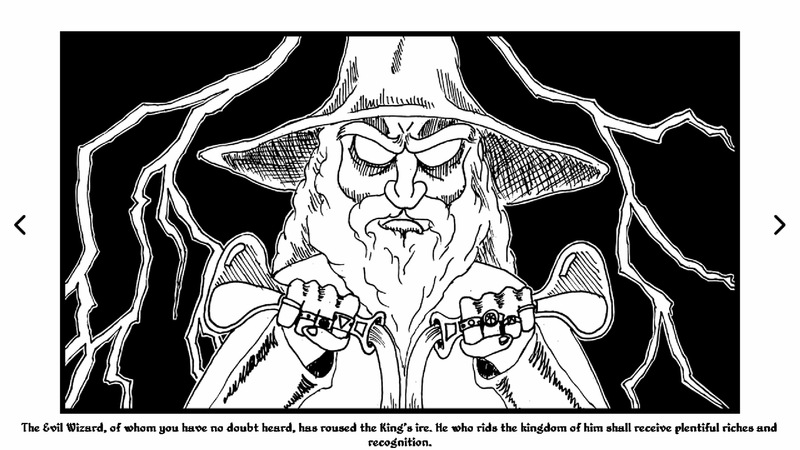 For those who are really interested though an evil wizard has had a bounty placed on him by the king and so the Peasant Knight heads out to defeat him. He’s dropped his sword on the way so there’ll be no attacking though, so it’s lucky you only have to reach the portal at the end of the level in order to complete it. You have two inputs to help the Knight get where he needs to go, you can jump or you can press left to stop dead (or right if you’ve been turned around). If you don’t press anything then your character will just keep running to the right, falling into whatever holes or into laser beams or any of the other hazards that the level designer have placed for you. It takes a tiny bit of getting used to, especially stopping dead in mid-air to shorten your jump, but you’ll quickly get the hang of it and start flying through the levels with the odd level requiring enough precision to make you attempt it over and over again. The restarts are quick as you’d expect with this type of game and the levels themselves don’t stick around for too long either with most lasting a few seconds. It doesn’t time you for leaderboards or anything like that though there is a time limit to the level itself which kills you if you’re too slow. The limits set seem quite strict but you’re given enough time to make it if you don’t stall for too long. There is also a local multiplayer mode on the PS4 which splits the screen and either has you completing levels together just to get through the game or has you competing to see who can complete the most levels. It’s a bit of a throwaway thing really but it adds a little value to what is otherwise a very short package. It only costs £2.49 so I’m not going to knock it too hard and for those looking for two quick platinums then this is ideal. You can get all the trophies within twenty minutes having completed just over half of the levels. 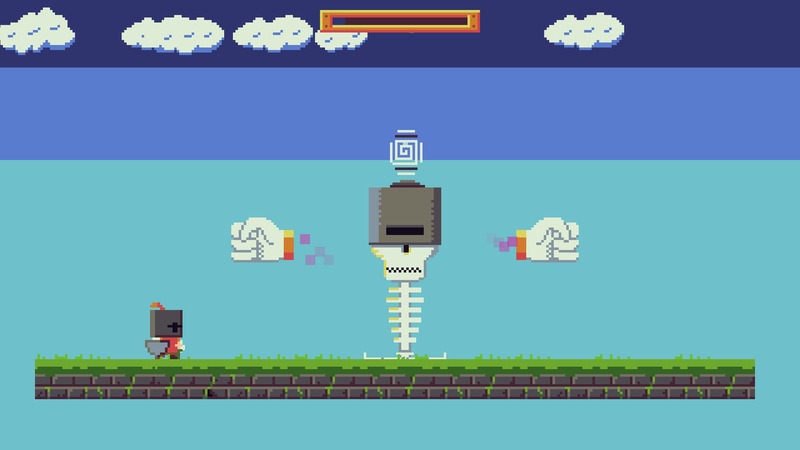 You get a trophy for reaching the second boss fight on level 47 and, if you’ve died to every obstacle, you’ll be done. There are eighty levels altogether, though you’ll actually defeat the evil wizard a while before that at which point you’ve got a bunch of ‘Death Levels’ to get through, which are tougher than anything in the main game but I had still done everything in under two hours, even though I got stuck on a few. If you’re not as keen on challenging platformers as I am then you may take longer (the platinum isn’t at 100% completion rate) but there’s nothing here that will act as a major road block, you just need to keep at it as with titles like Super Meat Boy. Due to the simple nature of the levels and graphics there’s not a whole lot to complain about. Everything works as intended and the graphics are consistent if never impressive in any way. I will say that when you hit teleporters that the screen does have trouble keeping up pretty much always dooming you to a death first time through as you don’t have time to register what’s ahead but as I said, levels are short and restarts are quick so it was never a major issue. So as a quick and easy Platinum Trophy Peasant Knight succeeds. It’s also a fairly interesting and decent little platformer which is over very quickly, making little impact. For the low price though it’s hard to complain and the developers obviously achieved what they were going for without aiming too high. 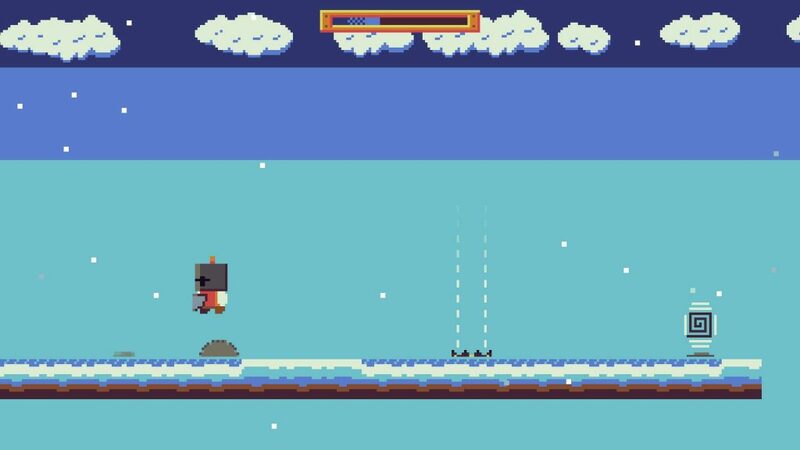 Peasant Knight is a different take on challenging platformers with your character's constant locomotion acting as one of the obstacles to success. It's a super quick platinum and the overall game is short too but it's so cheap that you can't complain that it doesn't leave much of a lasting impression.